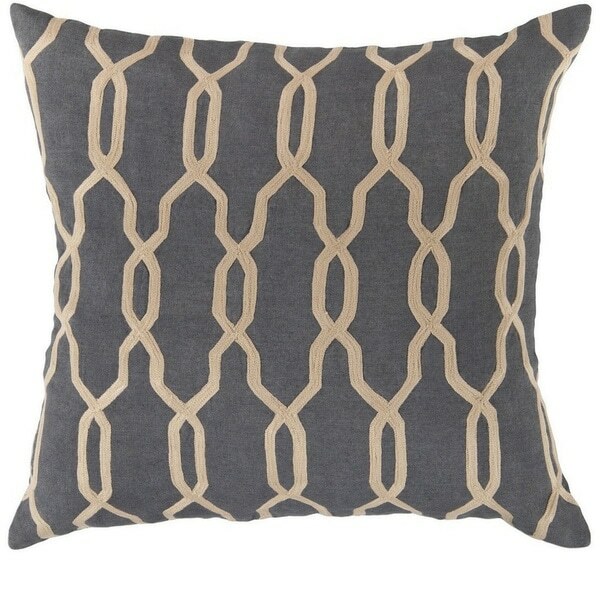 Featuring a trellis pattern on this linen cover, any pillow will make a plush accent to any decor. An 18-inch pillow in this cover will look perfect on any bed or sofa. These pillows are perfect! The red (which I purchased) is more of a rust color. They are of very good quality. They add enough color and modern design to fit in with any theme of decor. I would highly recommend them! Beautiful Pillow case. Looks beautiful in the bedroom. Will be ordering more of the same in the near future. Well worth the price and investment. Part of an arrangement that suits my taste.